With LFR and Cross-Realm servers and grouped servers it is easier than ever to find people to knock off the dungeon/quest/etc that you need to tackle. Of course if you’re dps that wait tends to be longer. But all kidding aside, the game has certainly expanded its networking of players over the years. It’s been an eternity since you had to sit in a town in chat, trying to find a group to enter Deadmines, or Magister’s Terrace, or Dire Maul. But even though things have improved, it isn’t all for the best. In my early days of playing WoW I met some great people on my server, Runetotem (US). Heck, a person I randomly asked to sign a guild charter for me became a really good friend of mine. Other people I began easily recognizing with and working with when we were able to do so. The server was unique and it felt like you really were in a world together. With all the changes to the game, that is all but gone now. I would argue you have a few small pockets but outside of the RP servers there isn’t much left of that old kinship. Short of guild choice, the server you roll on doesn’t matter anymore. Only the region might, depending on who you want to play with. I bring this up because it’s something I’ve been able to re-experience being on a private server. Sure, the wait times are annoying some days (there was a day all our queue needed was a dps…dps!!!) but you can chat with people while you wait and I find on average once you’re in a dungeon it isn’t a zergfest…even if the party can likely wipe everything in sight with relative ease. Even with a language barrier in some cases (because, again, one server), people are still friendly and helpful. Everyone is enjoying the server and you don’t have any keyboard trolls. But I also attribute that to a smaller population. I think the most players I have seen online at a time (and I don’t check that often) is about 2k-2.5k. Let’s face it, the smaller the pool of water is the smaller amount of scum you’ll have in it. Don’t get me wrong, I love the idea of being able to hit a button and have my raid group filled in mere minutes because everything is connected. But when servers are an island unto themselves, it creates a feeling of “us and our world” so to speak. I think it makes the game come off more as it is intended to for the average player. Certainly Blizzard won’t be reversing their model any time soon. The closest players can get for that is the Classic server that’s being released later this year. Well. Doesn’t that just get the tingly bits flowing? I’ve never hid the fact Karazhan remains my favourite instance of all time. There is a ridiculous amount of flavour and lore to the place. Plus it was my first raid ever, so that might be part of my attachment. You never forget your first, after all. That said, there has been plenty of talk about Karazhan being redone over the years. I think the first I heard of the idea was around the end of Cataclysm or possibly early into Pandaria but the latter seems unlikely. At the time I wasn’t against the idea. Like I said, I absolutely love the place. But because of that, I was afraid they were going to remove the existing raid in favour of the new one. I didn’t want to lose all the characteristics and encounters that made it such a fantastic place. The raid will be 5-man. Yes, it’s a dungeon, but way too big to be considered one. 9 bosses! Though that does include however we’ll have in the opera. I honestly can’t wait to see what possible changes come with that. Not only is the old raid staying, but Blizzard has made it clear they have no intention of removing it from the game if for no other reason than historical significance. Yes, other than the trailer, and a few little nuggets we don’t know much. But 7.1 is expected to be on the PTR shortly after Legion launches next week and at that point we’ll know more. edit: This is a re-post to correct the day of the event. Yes indeed, it is once again that time of year. 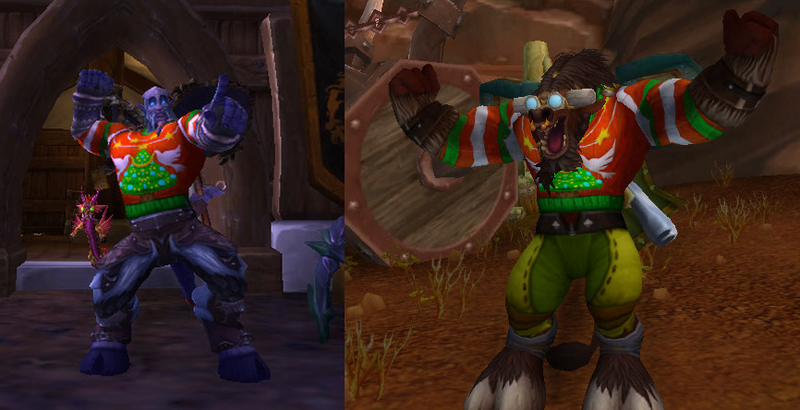 Time to slap on the bright red, green, and white, and head off caroling in a couple of Azeroth’s finest locations. 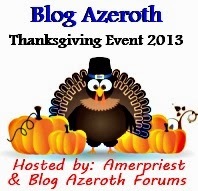 This year’s event takes place on TUESDAY December 30th at 8pm EST. We will start Alliance side, and take our festive tunes to Kil’Jaeden’s house in the Sunwell Plateau. We’ll follow it up Horde side by jingling all the way to Al’akar at the Temple of the Four Winds. If you have never been on a Gawdy Sweater Run (this is year…three? four? ), the rules are quite simple. 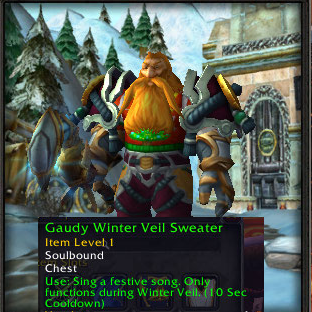 You replace your chestpiece with the Gawdy Sweater Item from the Winter Veil festival. Most people have one from years past, but if you don’t you can always get one from the Smokey Pastures vendor in Orgrimmar or Ironforge. Then we gather and storm the snow castles. If you don’t have my Battle ID, you can either message me here or via my e-mail address. Otherwise I look forward to another fun night! I’ve been running Firelands weekly since, well, I realized I could. So we’ll say almost two months. I’m honestly amazed at either how much little leather gear there is or just how bad my luck is. I actually average less than one leather item per run. But that’s not the reason I run it. Oh no. I want to be a fire cat. Druid of the Flame, that’s Zarahi. Or at least, it would be if Majordomo Staghelm ever dropped the darn staff. 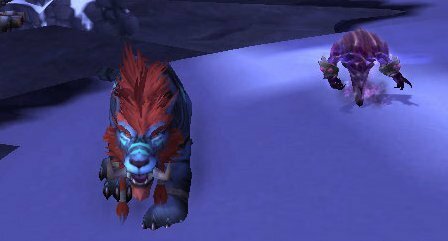 With it being Christmas and all…and the annual daftness around the trees in Ironforge and Orgrimmar, I figured it was a good time to make my weekly run. Once again, next to no leather drops (though I did get a Tier helm). Alysrazor nearly killed me because I wasn’t paying attention…but she died, and no mount. A short while later I’m across the bridge and staring at that MajorPainInTheRear and then he’s dead. Scythe! Needless to say, a short while later I was enjoying the benefits of being a Druid of the Flame. Oh yeah baby. Now, the only thing concerning me is that the buff ends the moment my combat ends. I know it’s supposed to be a mildly lingering effect, and just a few moments ago saw one in Ironforge. The player said it seemed to last for a bit out of combat, and that’s not the case for me. I don’t know if it’s a glitch or if the item was changed somewhat. But then it should affect all users the same way. Regardless, I’m still ecstatic for Fandral to give me such a lovely item this Christmas. Running some of the Horde Garrison quests in Shadowmoon Valley on the weekend and I came across a rare spawn. Right away the name sounded familiar, but to be honest I was drawing a blank as to why. I didn’t really care because a rare is a rare. A Human Mage and Nelf Druid had come strolling up and I figured the three of us could probably take it down. That didn’t happen. I have no idea where they went, or they died. I quickly realized I couldn’t take it down on my own and sent out a message. Repgrind was in immediately, and Arv was close behind. Unfortunately, we learned Arvash didn’t have the flight path to Shadowmoon Valley yet, being a fresh 100. It was also around this time where I remembered what made Demidos special: the Servant of Demidos. Rep and I decided to tackle him anyway and we got him down to about 10% before we died. We learned his health pool climbs based on the number of people in the fight. As we were rezzing, a Gnome got into the fight. We fought hard and got him down. A nice little achievement there. Now the key to the fight is easily your health. 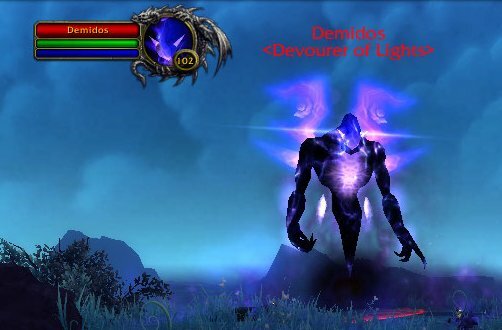 Demidos has an ability that knocks your health down 25%. Not total health, mind you. Just current health. So heavy top-up heals are not really a great idea in this fight. If you can do some HoT’s then you’re in better shape. I know my health sat below 35% for most of the fight. But I just kept Rejuvenation active as much as I could. Rep was busy on her end and we managed to take him down a second time on her server. Unfortunately there was no loot the second time around. I was disappointed because Repgrind had gotten a necklace that was of no use. I wanted her to get the pet…same as I did! Incredibly ecstatic to have the Servant drop. In briefly perusing the new Draenor pets, this was probably the one I wanted the most. I definitely couldn’t believe my luck when I saw it in the loot. I tried to carry that luck over and nab some raid pets. Once again Tempest Keep and Karazhan offered me nothing. But still, getting this guy made my weekend. And I couldn’t have gotten it without Repgrind’s help! I haven’t had the chance to sucker punch Garrosh yet, so I can’t include him in the equation (don’t even know if I would). I couldn’t tell you what the actual end boss was in Vanilla as I wasn’t there. So these things quickly reduce our choices. Now I’m not certain whether we’re talking “end of expansion” or just who was the most badass at the time of their patch going live. I’m going on the end of expansion theory and while various posts might suggest the Lich King as a no-brainer for this one, he’s actually not my choice. Kil’jaeden is far and away the best end boss for several reasons. First off, getting to him was hard enough at the time. 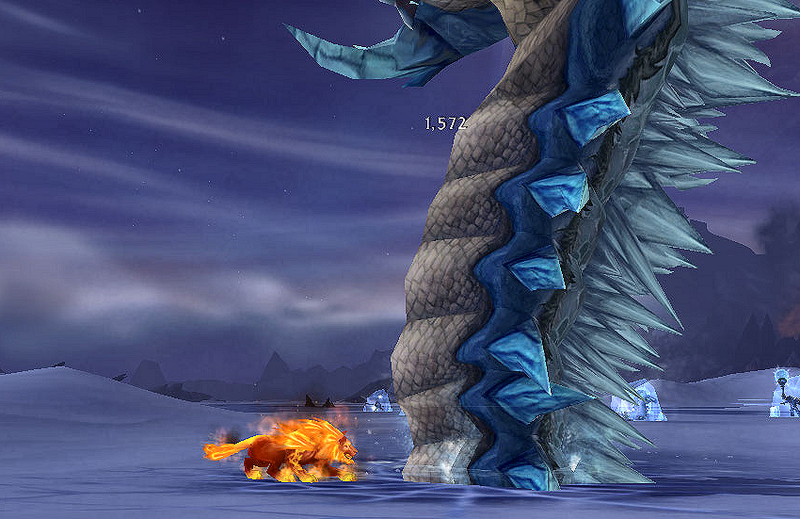 Sunwell Plateau was just an incredibly challenging raid as I remember it. Now the trick is not to glitch the Kalecgos fight and you’re pretty much set. Also, we didn’t necessarily see him coming. We knew Deathwing and Arthas were the endgame of their respective expansions (sorry, but Ruby Sanctum doesn’t count for Wrath). In the case of the Burning Crusade, we got our fights with Illidan, Kael’thas, and Lady Vashj. Then this Eredar decided to return, with some help from the “I’m not dead yet” Kael’thas Sunstrider. His entrance is still one of the best in the game. I love taking players there for the first time so they can see him come up out of the floor. At 90, it’s no big deal. At 70, there’s a feeling you’re in for a fight for sure. Perhaps it’s because I came in not long before this patch hit that I’m so fond of KJ. Perhaps I simply felt like choosing Arthas was taking the easy way out this time and I don’t want to come across as Wrath is the “be all and end all” of World of Warcraft, because it’s not. For all the great things that came with that expansion, there were other things that were done just a little bit better. And for my tastes, Kil’jaeden takes the cake when it comes to end bosses. I’ve mentioned in the past that winter is most definitely my favourite season. I’m a big fan of Christmas, so I naturally enjoy these few days in particular. Last year, I put a lot of effort into Winter Veil. I did a Twelve Days of Winter Veil for Mrs. Amateur, and gave many friends some lovely means of transportation (and would’ve given more had I not ran out of time and money). We also topped off the year with a Laid Back Raid (remember those? ), but in Gaudy Winter Veil Sweater Style. We knocked off Ragnaros and then stormed Blackwing and sat on the throne. With it being Winter Veil again, today was actually the first time I logged in. It was also when I finally had a chance to share that I wanted to bring back one of the things from last year. Now obviously if I was doing the 12 days for the Mrs. again I would be in a position where I would be way behind. So we know that’s out. Unfortunately, I’ve also been gone far too long to generate enough coin to go mount shopping again (though don’t get me wrong, I would love to have done so). Obviously, that leaves just one thing: GAUDY SWEATER RUN! The plan is to once again end the year with the run, just as last year’s did. So, it will take place on Sunday the 29th. We’ll start around 8:30 EST, and it will be Alliance (admittedly, I have no idea where Saintvache’s Sweater went and I’m biased in that I want to go too). If we have 10 people or less, Karazhan we’ll be bound. If we have more than 10, then it’s off to the Sunwell. Either way, for those wondering, that means you’ll need a toon that’s at least level 70. And yes, your chest piece must be the sweater.